Last Sunday my friend Bronwyn and I took the train from Bondi Junction to Berry to see the The Modern Quilt Show which was organised by the Wollongong Modern Quilt Guild. It was a really interesting and inspiring exhibition. Many more quilts than I expected. It was certainly worth the early start to make the trip. And it was market day so we had a look around there. Some lovely plants but didn’t really fancy bringing them back on the train. Also have limited space now that I am a balcony gardener. 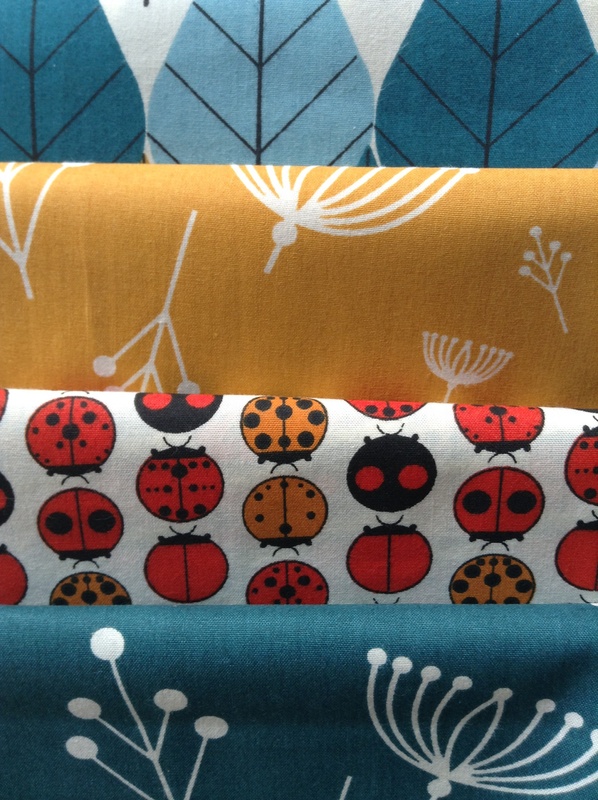 I did buy a pack of fabric from Material Obsession. I am really inspired by the colours and have had them sitting on the sofa arm so I can admire and plan. I love them so much I have planned the whole living area around these colours in my head while they have been sitting there. Lots of things happen in my head but finding the time to make them a reality is another thing entirely. We returned by train in the late afternoon spending some time in the waiting room at the station with a number of ladies (and one gentleman) who had also been to the quilts including a lady from Kiama who had won a raffle quilt and a lady from Hunters Hill who had exhibited her quilt. I have since read the MO Blog and there are photos of the show and the lady from Hunters Hill (Beryl) is shown with her wonderful quilt and the story of its inception. The train trip back was really pleasant and Bronwyn was able to knit an entire beanie on the trip there and back. Can’t do that when you are driving! And I suspect it was not a lot slower than driving judging by the pile up of traffic at Gerringong. And at much less cost than I would have paid for petrol. We will be making more trips by train.